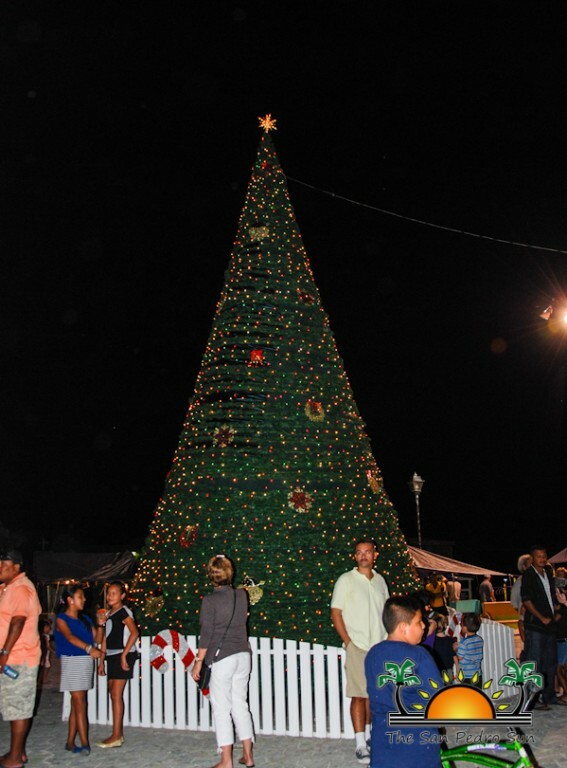 Home » Community and Society » Town Christmas Tree lights up for the Holidays! 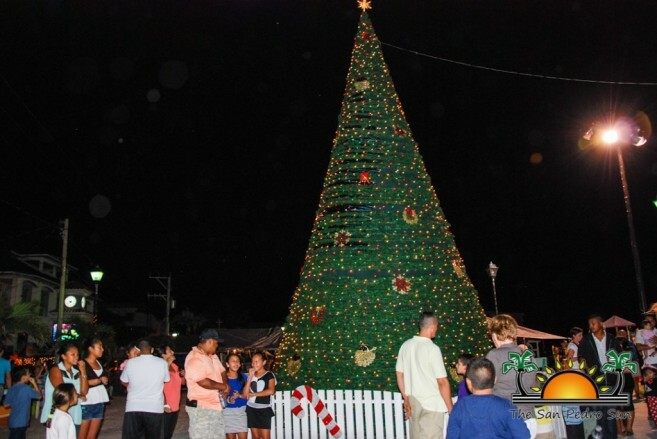 It was a merry celebration on Wednesday, December 3rd as the town Christmas tree was officially lit. 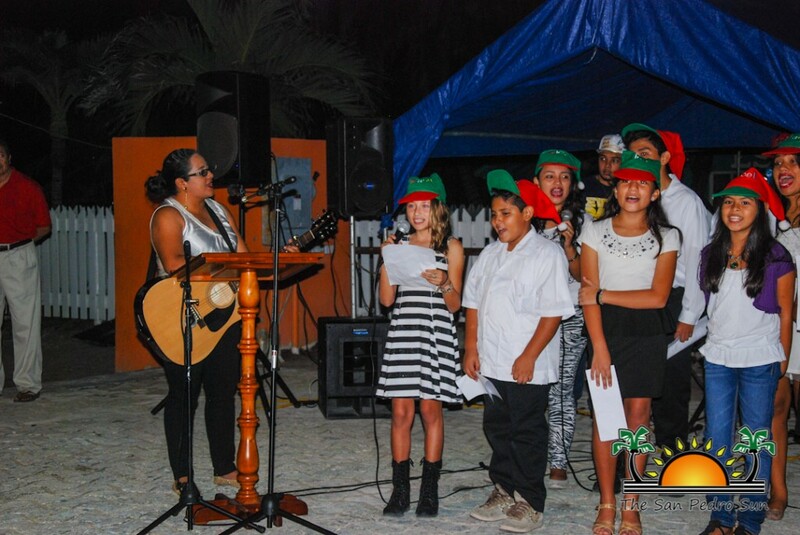 Island families and visitors gathered at the Central Park where the official tree lighting ceremony commenced shortly after 8PM. 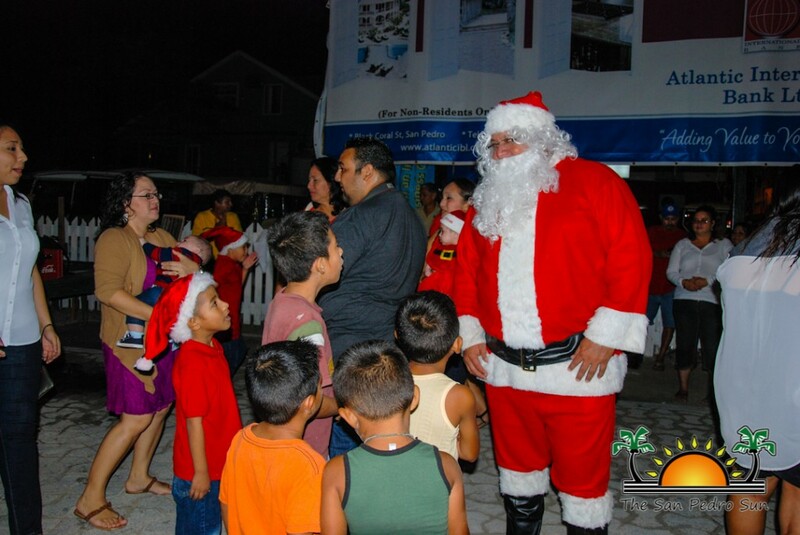 Even Santa Claus made a special appearance at the event! 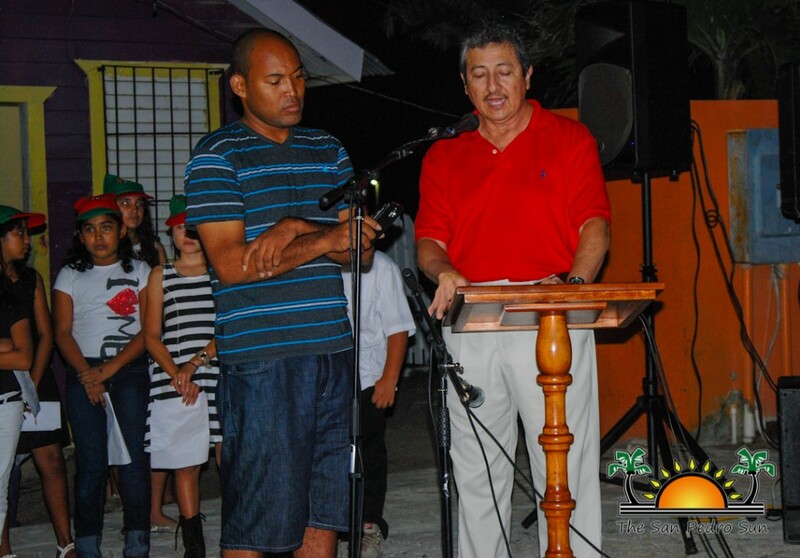 Opening the night’s events was Mayor Daniel Guerrero, who welcomed everyone and wished them a merry Christmas season. 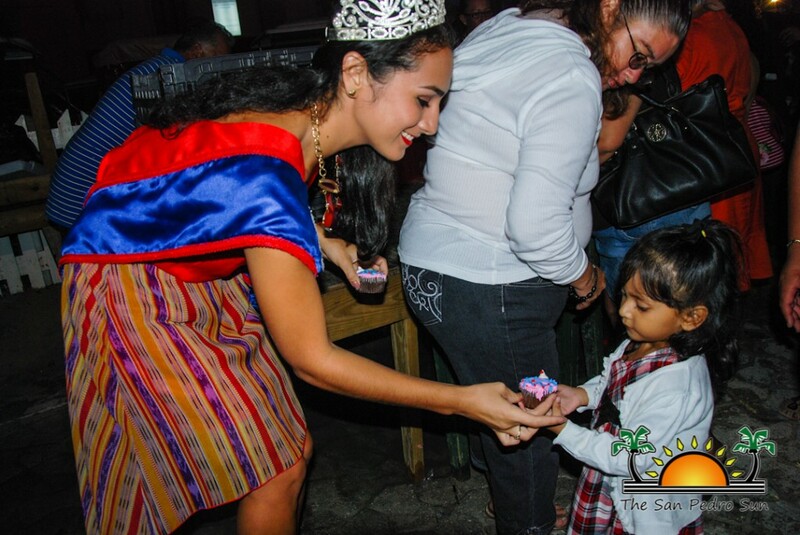 “Christmas is a time of joy and for everyone to unity. Let the lights of the Christmas tree bring cheer to everyone. On behalf of the entire San Pedro Town Council I would like to wish all residents and visitors a merry Christmas and prosperous New Year,” said Guerrero. And after the quit essential “Let there be light” quote, Mayor Guerrero turned on the switch that lit the Christmas tree into thousands of colorful sparkling lights. 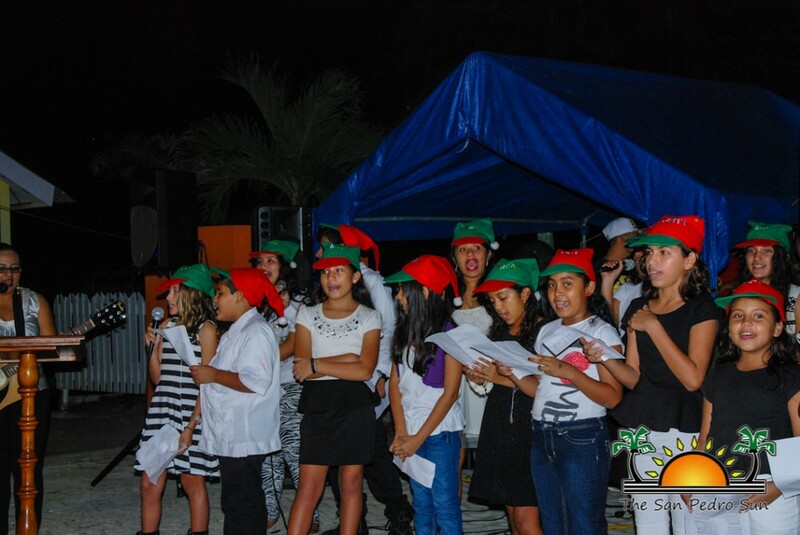 While enjoying the glow of the tree, those in attendance also got to listen to classic Christmas carols as harmoniously sung by Heaven’s Voices Youth Choir and by Natalie Arceo. 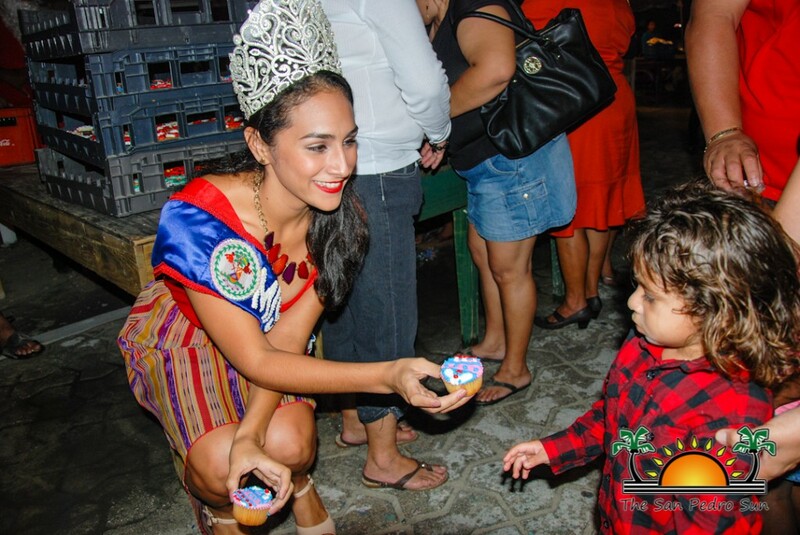 In the spirit of giving, excited children were offered cupcakes and refreshment. 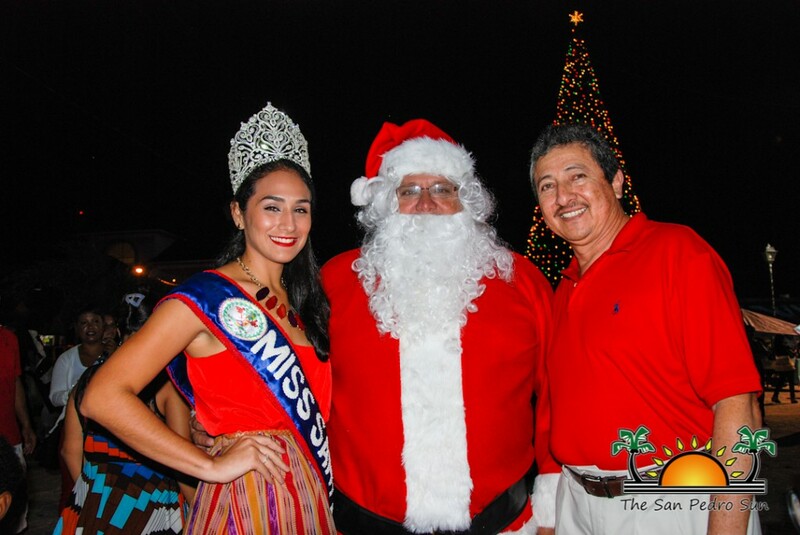 Everyone was also invited to snap a picture with Santa and Miss San Pedro Michelle Nuñez. The San Pedro Town Council would like to thank Lady Dixie Bowen and her family on the kind donation of the Christmas tree. May all island residents and visitors have a happy Christmas season!